Well-known aviator Dmitry Atbashyan, who heads the Air Transport Policy Subcommittee of the Public Council, and was the first chairman of Armenia’s Civil Aviation (1991-1992), said that the defective law on aviation fails the attempts to establish national aviation. “Armenia did not and still does not have a well-designed and improved legal framework for aviation development. The International Civil Aviation Organization (ICAO) requires that the Civil Aviation Authority engage in aviation development and be responsible for it in the face of the government and the legislature. There are no such provisions in our law on aviation,” says the veteran aviator. Atbashyan, according to an example taken from the ICAO, had designed a new draft Air Code and presented for discussion, but the Civil Aviation Department answered that the [submitted] draft Code is a direct translation of the relevant Code of Russia, and that it had been done without taking into account the international experience of recent years. Aviation engineer Grigor Vardanyan says that the draft law contains the most important thing – the responsibility for aviation development. “This is important because the experience has shown that due to the lack of responsibility our aviation was destroyed. No airline, besides national ones, will fly during a war and it was proven. The draft we have designed includes provisions on the development of small aviation,” says Vardanyan. Adbashyan also says that the Law on Aviation of Armenia was amended three times, but did not specify elsewhere that a body in Armenia is responsible for the development of aviation. “The problems in the civil aviation are not new: they started back in 2003. First, we had a very developed civil aviation. We also had very well-developed local lines, which were operated by small Yak planes. We transported about 3.5 million people on our own aircrafts, and a total of 5.5 million people were annually using the Armenian air transport. The Air Code of the USSR was in force in Armenia until 2003, though the Soviet Union had already collapsed, and we already had our own airplanes,” says Atbashyan. The veteran aviator says that the biggest flaw was the new law on Aviation adopted in 2003. “That’s why 10 years later, in 2013, our aviation was destroyed after the bankruptcy of the Armavia Company. The research has showed that the main reason is that Armenia still does not have well-designed legal framework for the development of the aviation industry,” he says. The draft law on aviation, which was designed by Adbashyan for the second time, has been handed to the National Assembly. “We have taken the most important provisions of the new draft from the ICAO, which requires that the aviation authority, the Civil Aviation Department, be engaged in the development of aviation, whereas our Aviation Law lacks such provisions. Under the proposed draft law, the department is also responsible for the efficient operation and security of aviation equipment and airspace,” he says. The latest bid from a local airline to start regular flights from and to Armenia was made by a local company called Alliance last fall. 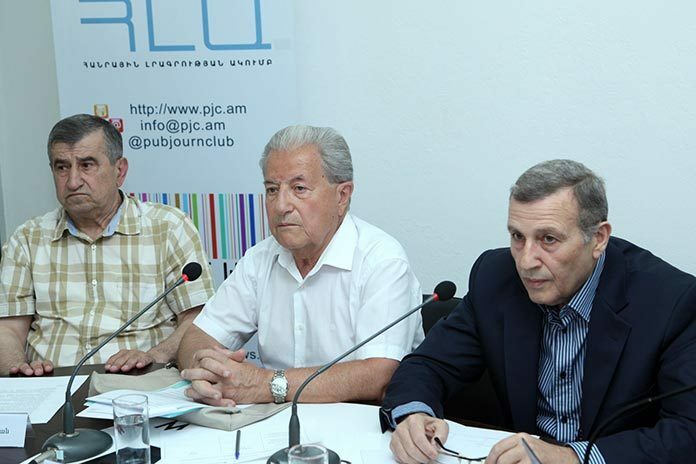 Its founders announced that they got an operator license from the Civil Aviation Authority but till today the airline has not been actively engaged in Armenia’s civil aviation market.